WhatsApp has swiftly grown and come a long way — from a small start-up to one of the most popular messaging apps in the world, with over 1.5 billion monthly active users. The company keeps injecting new features and updates to the platform in a bid to keep increasing the user engagement. Some of the key features added this year include 'Delete for Everyone' message, 'WhatsApp Status' and 'Share your Live Location.' While there are several WhatsApp features that you might have already used or aware of but here are some of the features hiding in the app that you should know about. WhatsApp recently added a new feature in its app that allows user' to watch YouTube videos within the app. Users can now play YouTube videos directly inside the messaging app, in picture-in-picture mode. With this feature, you will not get kicked out of WhatsApp and forced into the YouTube app. All you have to do is tap on a YouTube link in a conversation and the video clip will launch in a floating window. Apart from this, this feature lets you navigate the app without interrupting the video. Additionally, the video would continue to play even if you change chats. WhatsApp recently rolled out the UPI-based payments feature in India. The rollout comes after a beta trial of the new peer-to-peer payment system, tested over one million WhatsApp users. The benefit of UPI-based WhatsApp Payments service is that the money is directly credited to the recipient’s bank account. This new feature can be accessed in a chat window and can be found alongside other options such as Video, Gallery, Documents and others in the Attachments menu. After clicking on Payments option, a disclaimer window will show up a list of banks. From there, users can select their preferred bank account to connect with UPI. Then they have to create an authentication pin if you haven't yet used the UPI payments program. If you don't have a UPI account then you have to create one through the UPI app or your respective bank's website/ app. Furthermore, both the sender and receiver need to have the WhatsApp Payments feature to successfully transact on the app. The blue ticks on WhatsApp show when a sent message has been read, but you can disable them. You just need to go to Settings > Account > Privacy > Read Receipts. However, by doing so, you will lose the ability to check when your own sent messages have been read by your friends. Besides, there is another way to read messages without triggering the blue ticks by enabling Aeroplane Mode before opening your chat window to read the message. You just have to remember to close the app before switching Aeroplane Mode off again. WhatsApp lately introduced a feature that allows users to delete a message sent accidentally to the wrong person within a span of seven minutes after the message is being sent. In addition to this, WhatsApp might soon extend the time limit of deleting an accidental message to 4,096 seconds, which is roughly 68 minutes. To delete a message on WhatsApp, tap and hold the message box and hit the trash icon from the menu. Then you have to tap on “Delete for everyone” to recall the message. After tapping on that option, the message will disappear on your device and the recipient's phone. The instant messaging service rolled out this feature, allowing its users to share their location in real time. With this cool feature, the location is dynamic and updates in real time, even after you leave the WhatsApp app. You can also manually stop sharing location data within a chat at any time. When you try to share your location in a WhatsApp chat by tapping the attach icon, you will be prompted to select the duration of time for which your location will be active to others. You can only choose from one of the preset options — 15 min, 1 hour (default), and 8 hours and optionally, add a comment. With this feature, users can bookmark specific messages so that can be referred later. To star a message, tap and hold the message you want to star and then tap the Star icon that appears on top of the screen. Moreover, users can access the list of Starred messages by tapping the Menu button. Users can send or receive WhatsApp messages on their PC too. 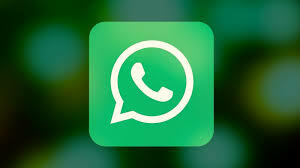 The company offers two different ways of using its service on a computer — WhatsApp Web and desktop apps. 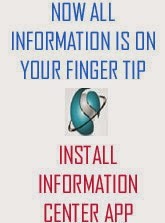 Notably, the two browser version of the app will only work if your smartphone remains switched on and near the computer.